Tension myositis syndrome piriformis pain is one of the many possible manifestations of TMS. The piriformis muscle provides a great scapegoat on which to blame symptoms, since there is a variety of ways that discomfort can exist there and diagnostic evaluations will usually be subjective in the evidence gathered. Tension myositis syndrome is a mindbody pain condition that originates in the subconscious, but is expressed completely in the physical body in the form of chronic pain. The diagnosis is a departure from the usual Cartesian philosophy of disease and injury that is associated with the piriformis muscle. Instead, the diagnosis suggests that although pain is present in the muscle or in the sciatic nerve, there is no structural basis for this occurrence. Instead, the mind enacts the pain using ischemia to deprive the muscle of necessary oxygen, causing the muscle to go into spasm, subsequently causing it to constrict the sciatic nerve. This article explores tension myoneural syndrome and its possible expressions in and around the piriformis muscle. TMS can create pain directly in the piriformis muscle that is often blamed on injury or scar tissue. Since TMS pain is usually chronic, the diagnosis of RSI is sometimes proposed, especially if any evidence of past injury is found in the region. TMS can also create general radiating pain in the region of the piriformis/hip/sacroiliac/buttocks. This pain might be difficult to pinpoint as far as location or origin and typically moves about in unpredictable patterns. TMS can also cause the piriformis to go into spasm, possibly enacting compression of the sciatic nerve as it passes near or through the muscle. Typical symptoms will include the full range of possible pseudo-sciatica expressions, including discomfort, tingling, numbness and weakness throughout the legs and/or feet. When this set of symptoms occurs, the diagnosis of piriformis syndrome is appropriate. TMS can work its mischief through several mechanisms of action in the human anatomy. The disorder can hijack various system of the body and make them work malignantly to further its pain-inducing agenda. Some of the common mechanisms of action for tension myositis include use of the immune system, use of the autonomic system and use of the circulatory system to create pain. For piriformis pain issues, we focus on the last possibility, which involves using the circulatory system to enact symptomology. Tension myositis loves to utilize a process known as ischemia to create pain. It targets the location for symptoms, then reduces the effective size of the small blood vessels in the region, thereby decreasing blood flow and oxygenation. Since all cells require oxygen in order to function and live, this limitation of a vital life-giving resource is well documented to create dramatic symptoms. When the piriformis muscle is oxygen deprived, it will suffer pain and reduced functionality. If the reduction continues or worsens, the muscle might go into spasm, which is exactly what we witness clinically in most cases of piriformis syndrome. In essence, continued lack of oxygenation causes cramping in the piriformis, exactly as it would in the leg muscles of long-distance runners. This process leaves no obvious evidence, but can be ascertained from studying biopsied cells from the muscle under special laboratory observation. TMS was first diagnosed by Dr. John E. Sarno of the Rusk Institute of Rehabilitation Medicine at New York University Medical Center in New York City. This premier healthcare institution became home base for the diagnosis and treatment of the condition for over 40 years. TMS is not alternative medicine. It is a verified medical disorder that was classified by a traditionally-trained medical doctor and has since found acceptance among most medical doctors. TMS is basically a universal human phenomenon. 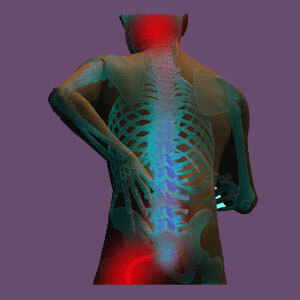 However, the severity, location and duration of symptoms range from person to person. Most people have suffered stress-induced headaches, skin issues and stomach discomfort. However, a great majority of people have also suffered more serious health disorders of TMS, such as back pain, knee pain, carpal tunnel, TMD, severe gastrointestinal diseases, autoimmune diseases and other conditions, yet never knew that these expressions were also completely psychogenic. On the subject of psychogenic and psychosomatic, it must be noted that these symptoms are universally experienced by all humans and are in no way invented or exaggerated. In fact, most doctors now accept that the mind can positively or negatively influence all matters of health and disease in every person on this planet. This essay is just a simple primer on tension myositis syndrome. We happily provide you with far more in-depth coverage of TMS on all of our other websites. Please take the time to learn more, as this knowledge will literally change your life for the better and prepare you to deal with the many expressions of TMS in your life. In order to find all of our essays on the subject, please query tension myositis syndrome or TMS on our search tool. Our proprietary pain relief program is an effective cure for TMS and has been praised by many experts in the field of mindbody medicine.